Sponsored by Gilead Sciences K.K. 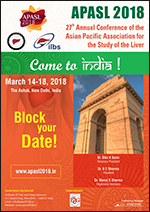 Sponsored by Eisai Co., Ltd.
Is M2BPGi a predictive marker of HCC development in patients with HCV? Sponsored by Roche Diagnostics K.K. 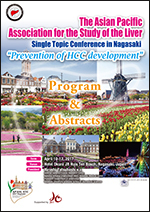 Sponsored by Otsuka Pharmaceutical Co., Ltd.
HCC in NASH; Any Difference from HCC of Other Etiologies? Sponsored by Abbott Japan Co., Ltd.